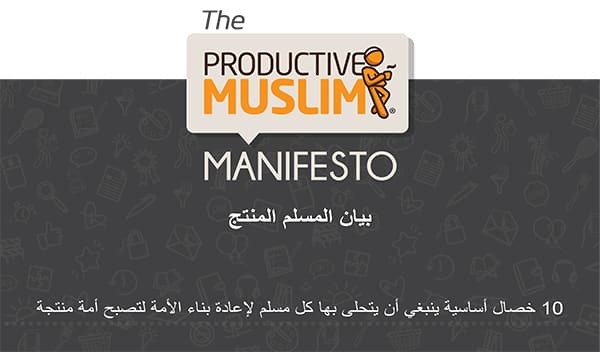 The ProductiveMuslim Manifesto: Now In 8 Languages of the Ummah! 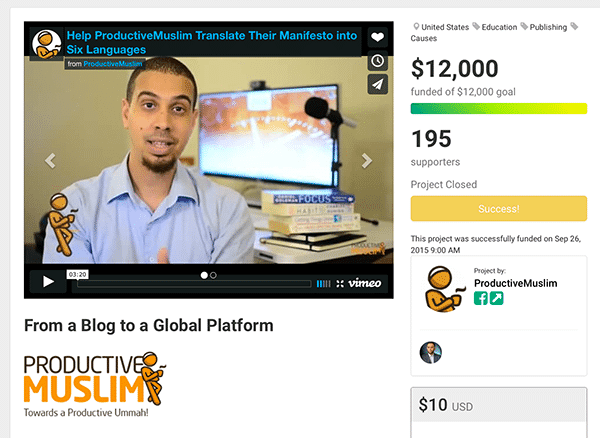 What is the ProductiveMuslim Manifesto? How to Plan your day, week, month, life in detail! How to Take time to have fun! It’s a powerful summary of the most important skills that you need to learn and develop so you can be more productive! 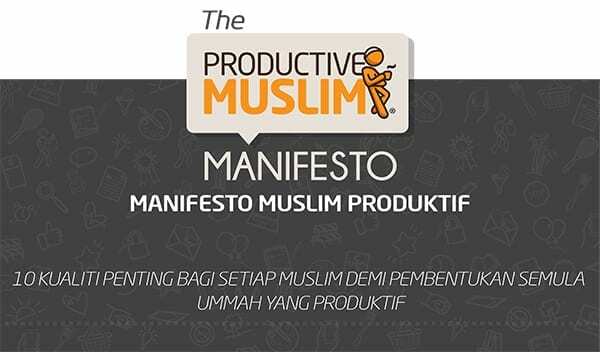 The manifesto is available for FREE and available in the 8 languages above (Click on any of the images above to download the manifesto). 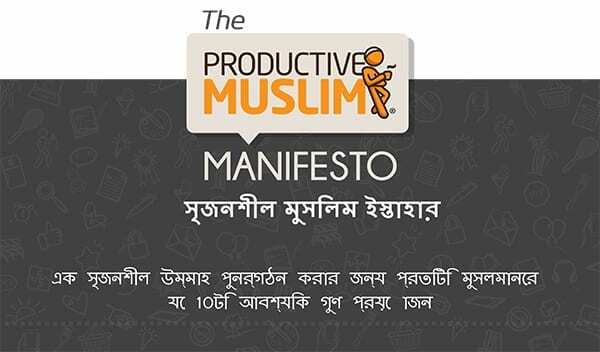 When we launched the Manifesto last year, we were overwhelmed by the positive responses received by all our readers. 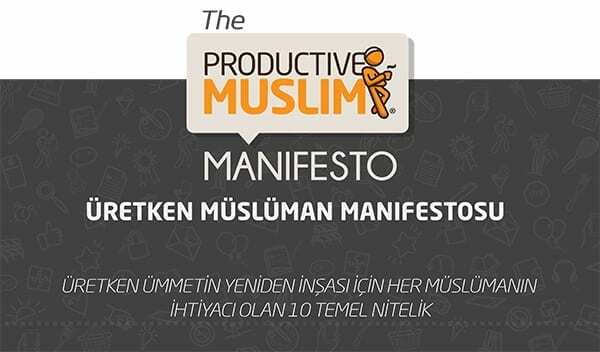 So many of you wanted to share this Manifesto with family members and friends who perhaps couldn’t read the Manifesto in English, so we decided to translate the Manifesto into as many languages as we can to help its message reach further. We couldn’t do this on our own, so we hired a professional translation company to do the translation, editing, design and final production of the translated manifestos. Special thanks to all those who participated in the crowdfunding campaign to raise funds for us to afford to hire the professional company. We couldn’t have done this without you! JazakumAllah khair! P.S. 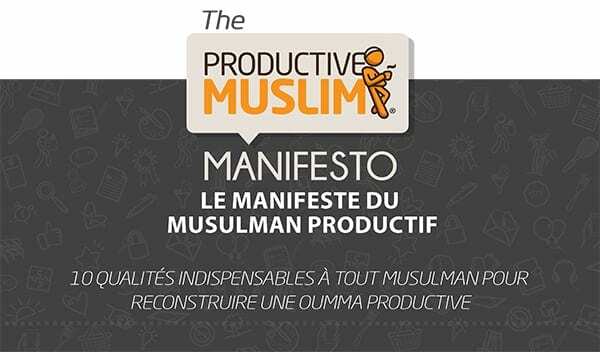 If you’re interested to sponsor the translation of the ProductiveMuslim Manifesto into another language which we didn’t cover above, please send us an e-mail to contactus[at]productivemuslim[dot]com for discussion & further details. Now it’s your turn..SHARE SHARE SHARE! 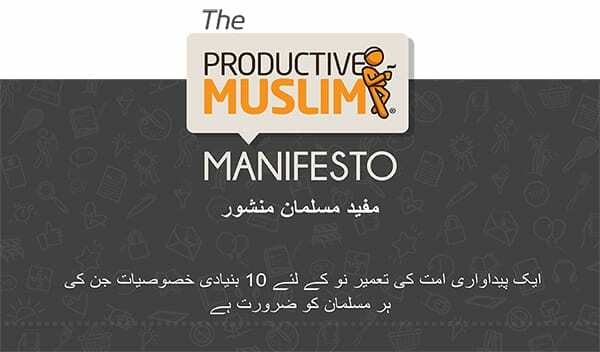 We want every school, college, university, hospital, private or public institution to share this manifesto among their people and unlock a faith-based and values-driven productivity that is positive, sincere and powerful! Let us start a grassroots movement that says NO to laziness, NO to procrastination, NO to being unproductive and boring and let us help inspire a generation of true ProductiveMuslims, in sha Allah! 1. Am I allowed to print & distribute these manifestos? 2. Am I allowed to sell these manifestos? 3. Am I allowed to use some of the content of the manifesto for my own non-commercial purposes? 4. 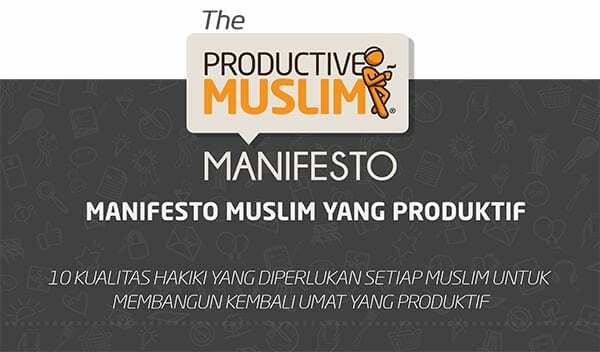 Am I allowed to share this manifesto with anybody in this entire world (Muslim or non-Muslim)? 5. I have more questions?